Montgomery County residents are urged to put their cut Christmas tree at the curb for recycling, and give their tree a second life after the holidays. 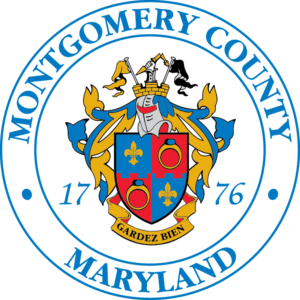 Cut Christmas trees are accepted year-round for residents who receive Montgomery County-provided collection service. To participate, residents need to place their trees curbside by 7 a.m. on their regularly-scheduled day. The tree must be free of decorations. Collected trees are taken to the Shady Grove Processing Facility and Transfer Station (Transfer Station) where they are shredded and chipped for mulch. The facility is located at 16105 Frederick Road in Derwood. Residents can also take their trees to the Transfer Station for drop-off. Wreaths, roping and other decorations with live branches and needles are only accepted for recycling if they are separated from any wire and metal used to bind them, and are free from decorations. Live trees with root balls, or that have their roots intact, cannot be accepted for recycling. Residents who live in apartments and condominiums should check with their property manager or representative for specific Christmas tree recycling instructions. Property managers of apartments and condominiums must make arrangements to recycle their residents’ trees. Businesses and commercial properties having live Christmas trees must also recycle them. Artificial trees cannot be recycled, but if yours is still in usable condition, consider offering it for reuse on a neighborhood list serve, local Freecycle group, or similar network. Otherwise, request a bulk trash pickup for your artificial tree. If you have County-provided trash service, schedule a collection online or call 311. If you have privately-provided trash service, check with your collection company for instructions. For more information about Christmas tree recycling collection, visit the Department of Environmental Protection’s website.